In Mindfulness Meditation, Dr. Rick Hanson suggests “taking in the good.” This is explained as bringing to mind something that gives you good feeling. In his words: “it could be a pet, children laughing, or a beautiful flower or beautiful person.” In my training on the creative process, I was made aware of many authors writing about four stages, Preparation, Incubation, Illumination, Verification. and Four forces, Water, Air, Earth, Fire, usually depict these. The inspiration comes when are faced with a problem (Water) or “darkness on the face of the deep” as in Genesis. The Preparation is defining the problem and thinking of some specifications for a good outcome. Incubation is an Airy time many things may come to mind but it is inconclusive. Eventually, Illumination, “eureka” seeing a possible solution, we “come down to earth” and we seek Verification and if we verify that we have “hit the nail on the head;” this is the Autumn or Fire force and depending, how important it seems, we can be filled with inspiration. If we savor this inspiration, we can take our inspiration into our Mindfulness Meditation as mentioned in previous posts. Personally, I think this kind of inspiration is natural to the human species in fictional and non-functional books, Movies and TV documentaries; all can be a source of this kind of inspiration. What’s the point here? We must admit, at least to ourselves, that we are spiritual beings in physical bodies, with a purpose of some sort. As we fulfil or even glimpse our purpose, we feel inspired! We observe this in others, including babies, who have a pioneering spirit and are searching the world. What is beauty? It is the Truth of design and control! If a rose is beautiful, it is expressing its design and control. If we interfere with either design or control, the rose is no longer beautiful and this interference could be as simple as mistaking some strong acid with insecticide. As human beings, our Truth is expressed according to our design and control. “And the Truth shall set you free.” Thus, we often find out that being ourselves is inspiring! This post is a little over half my normal length and I suggest that it would be useful to read it again! 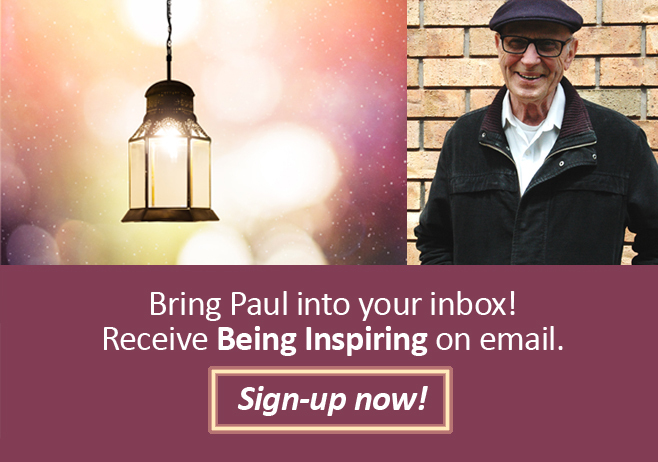 Author beinginspiringPosted on 15/05/2015 14/07/2015 Categories Mindfulness and InspirationTags creative process, Dr. Rick Hanson, Mindfulness Meditation, What is beauty? I appreciate your saying things several different ways, Paul. It’s like holding something in view and turning it to see it from various angles. Each view enhances understanding. That’s inspiring!